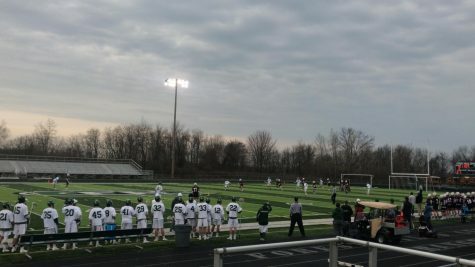 The boys JV lacrosse team set the bar high against a non-conference opponent Haslett with a 15-1 win. The JV team is looking to come off a successful season last year with even more energy. Although the weather was snowy and harsh, both teams played through it. 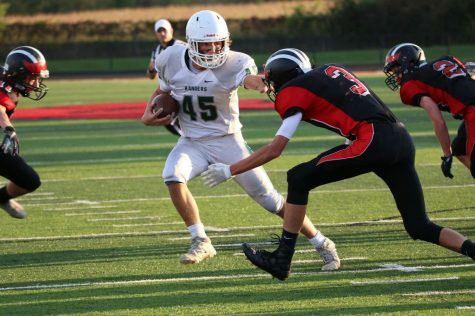 The Rangers overpowered their opponent in the first half, however, by pushing the ball up and getting many stops on offense, making it hard for Haslett to maintain a long possession. The game started off with immense pace with the help from freshman John Tomsheck, who scored the first goal of the game and first goal of his high school career. 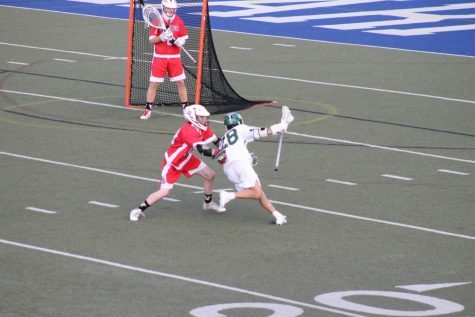 Shortly after, freshmen Miles Duiven and Nathan Sarjeant took charge on the offensive end, while sophomore Sawyer Bosch took charge on defense. 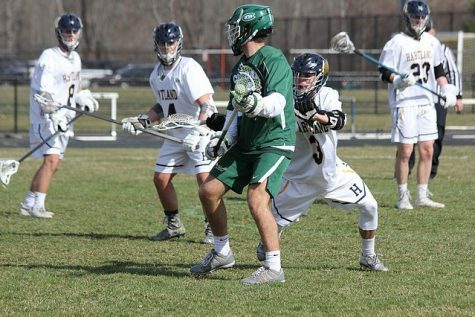 With good chemistry and a strong defense, FHC was able to keep Haslett to 1 goal in the second quarter. The second half of the game remained the same with the Rangers in control. Their goal was to maintain possession, and they did just that. 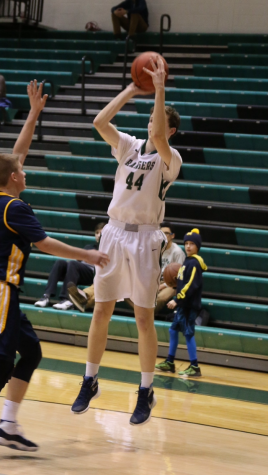 Their striking force came out with energy yet again, and they were able to put a few more shots on the Vikings. Goalie Charlie Mehney had his freshman debut and proved that he was meant to be on this team. 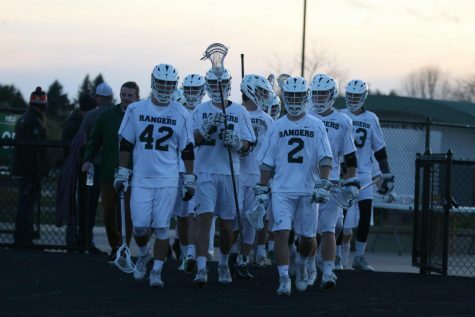 In the end, the Rangers were too much for Haslett, and they were able to go into the locker rooms cold but satisfied. This was a good first win for the Rangers to bring their record to 1-0. Their next game is at home against Saline on Tuesday, April 9.